We are very excited to announce that there will be new works making a sneak peak in the upcoming months ahead. 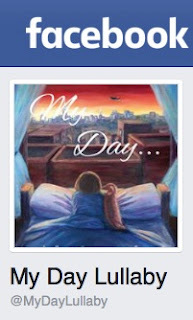 In the meantime, if you are a fan of My Day..., feel free to connect to its very own social media site to see where you can join in on the next My Day events! Stay connected and up-to-date on all the latest events and raffles by checking out My Day Lullaby social media pages! The Society of Children's Books Writers and Illustrators (SCBWI.org) also helps promote the community of artists, writers, and book enthusiasts together by launching fun and exciting promotional events, conferences, and raffles.